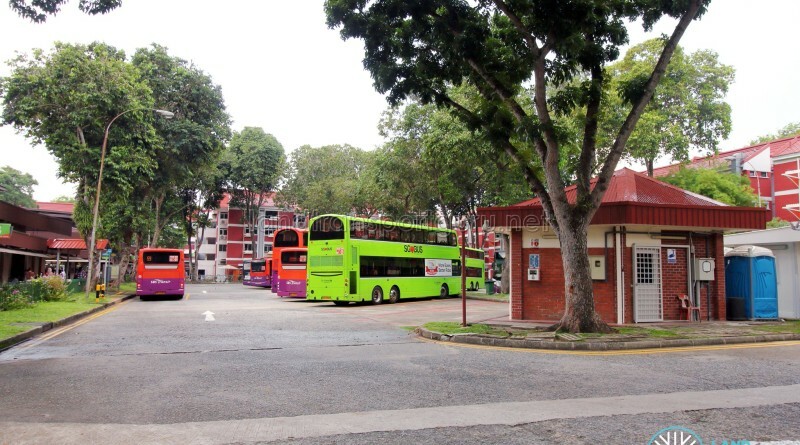 Changi Village Bus Terminal is a neighbourhood bus terminus located in Changi Village. 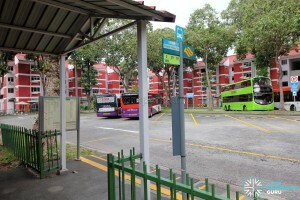 It serves as a looping and terminating point for bus routes serving the Changi Village area. Nearby developments include low-rise housing estates, a market and food centre, shops and restaurants, Village Hotel Changi, Club CSC @ Changi, and Changi Point Ferry Terminal which provides ferry service to Pulau Ubin and Malaysia. 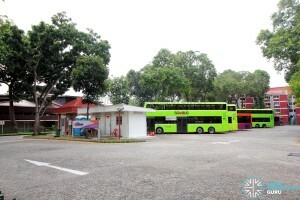 Changi Village Bus Terminal is a bus terminal located at Changi Village, just off Changi Village Road. 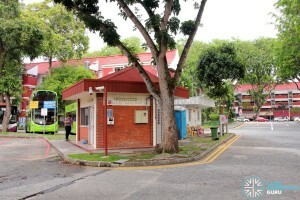 It serves as a looping and terminating point for bus routes serving the Changi Village area. Opened around the Year 1975, the terminal has a single vehicular concourse area, with a combined vehicle ingress and egress lane leading to Changi Village Road. 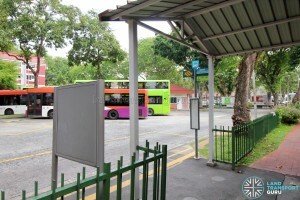 The terminal has a sheltered bus platform that functions as both a boarding and alighting point, and a bus park in the middle of the terminal for the layover of buses. The large number of parking spaces at the terminal reflects the greater number of bus services which used to call at this terminal before Changi Airfreight Centre opened. Passenger boarding and alighting activity is conducted at a single bus stop outside Block 3, after which buses terminating buses proceed to the parking area, and fresh trip buses exit the terminus. Bus Service 29, which loops at the terminal, calls at the bus stop once. Amenities in the area include a foodcourt and market, Changi Village Hotel, and Changi Point Ferry Terminal which provides ferry service to Pulau Ubin and Malaysia. 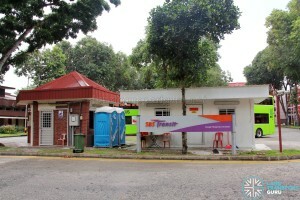 Within walking distance is Changi Point Waterfront Park, Changi Point Promenade, Changi Beach Park and Club CSC @ Changi. 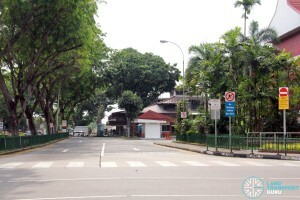 Changi Village has a long history dating back to pre-independence days when the area was a seaside village located at the end of Upper Changi Road. 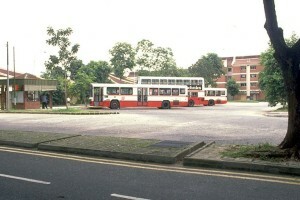 A roadside bus terminal known as Changi Point Bus Terminal existed since the 1950s. The Changi Village area was redeveloped along with the construction of Changi Airport, and the HDB also built low-rise apartment blocks and a food centre in the area. 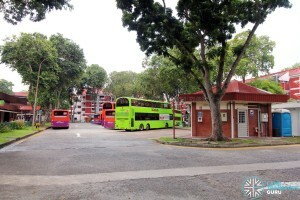 Changi Village Bus Terminal was built on the former site of Changi Cinema in 1975, and by 1983, it was a full-fledged bus terminal. 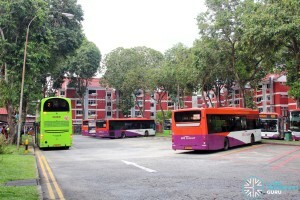 Service 59 and 109 are under the Serangoon–Eunos Bus Package while Service 2 is under the Loyang Bus Package. Service 29 loops at the terminal only.